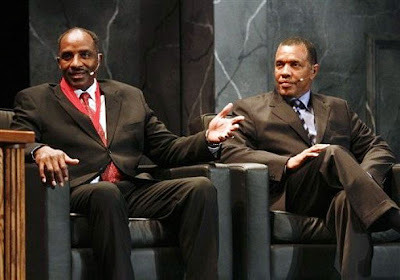 Former Duke and N.C. State men's basketball standouts Christian Laettner and David Thompson were inducted into the National Collegiate Basketball Hall of Fame on Sunday evening at a ceremony at the Midland by AMC in Kansas City, Mo. 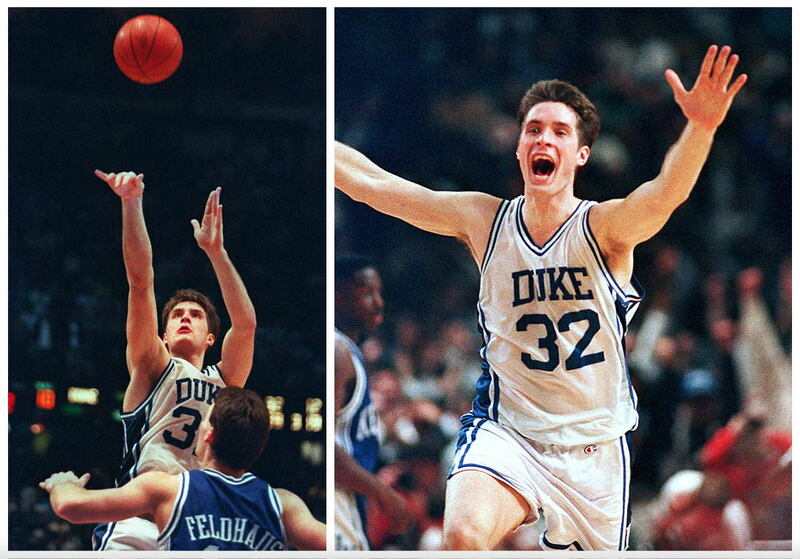 (In alphabetical order) Laettner helped lead the Blue Devils to four straight NCAA Final Fours, including national championships in 1991 and 1992. The 1992 National Player of the Year and three-time All-America, Laettner averaged 16.6 points and 7.8 rebounds for his career. His 2,460 points and 1,149 rebounds in his career rank third all-time at Duke while he holds the school record with 713 career made free throws. 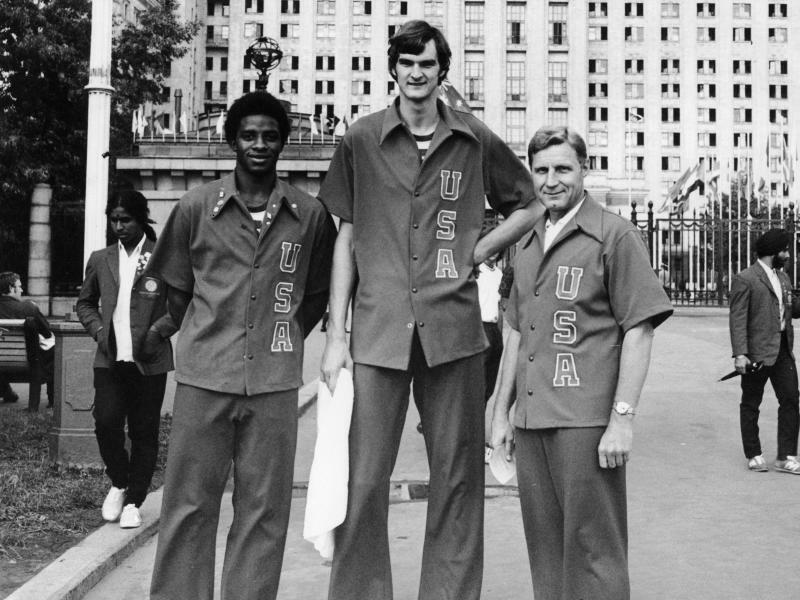 As a junior, Laettner was named second team All-America, MVP of the Final Four, ACC Athlete of the Year, first team All-ACC and to the All-Midwest Regional team. He averaged 19.8 points, 8.7 rebounds, had 75 steals, 44 blocked shots and a .575 field goal percentage. He followed his terrific junior season with an even better senior campaign, averaging 21.5 points, 7.9 rebounds, had 74 steals, 32 blocked shots and a .575 field goal percentage. He was named National Player of the Year, ACC Player of the Year, ACC Athlete of the Year, ACC Tournament MVP and MVP of the East Regional. Laettner was the third player taken in the 1992 NBA Draft and played 13 seasons in the NBA with the Minnesota Timberwolves, Atlanta Hawks, Detroit Pistons, Dallas Mavericks, Washington Wizards and Miami Heat. 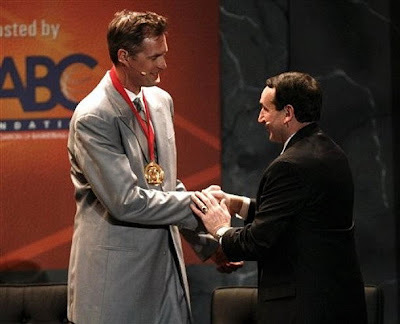 Outside of Duke circles, Laettner was not particularly popular and consistently appears on published lists of "Most Hated Duke Basketball Players." He is especially loathed in Kentucky for several well-known reasons. 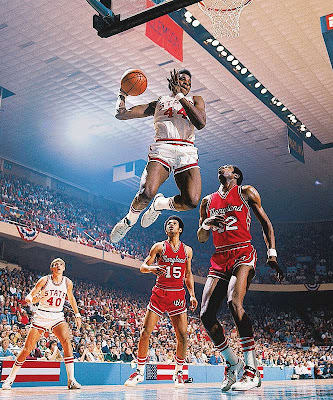 After leading North Carolina State University to an undefeated season (27-0) in 1973, David Thompson was part of a history making Wolfpack squad that stopped John Wooden’s UCLA Bruins long string of National Championships. Thompson finally happily broke the rule in the final non-conference game of his career with a dunk which promptly drew a technical. But that play sent a symbolic message that “slam-jam athleticism” was the wave of the future in both college and pro basketball. The Terps’ exclusion from the NCAAs, despite their high national ranking, would lead to the expansion of the NCAA Tournament the very next season to include teams other than the league champions. So credit Thompson with helping to create the “Big Dance” as well. Thompson is accustomed to being a Hall of Fame luminary. The former No. 1 pick in both the NBA and ABA drafts, he also is enshrined in the Naismith Hall of Fame in Springfield, Mass. In addition, Thompson presented Michael Jordan for his induction in Springfield. 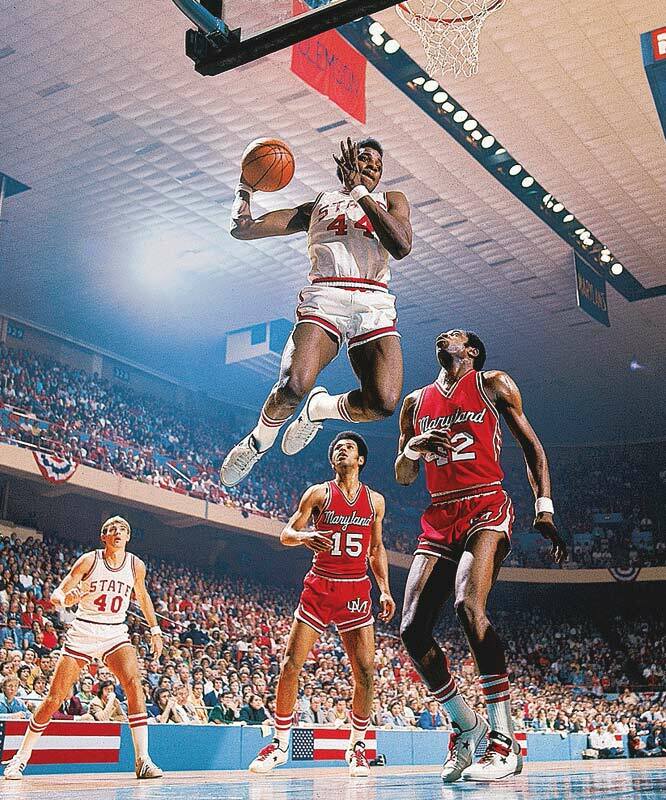 At N.C. State, Thompson was a consensus first-team All-America in 1973, 1974 and 1975. He was the AP Player of the Year in 1974 and 1975 and the UPI Player of the Year in 1975. That same year, Thompson also won the coveted Naismith Award for National Player of the Year. Thompson played in the NBA for nine years, but his career was impeded by frequent injury and substance abuse problems.